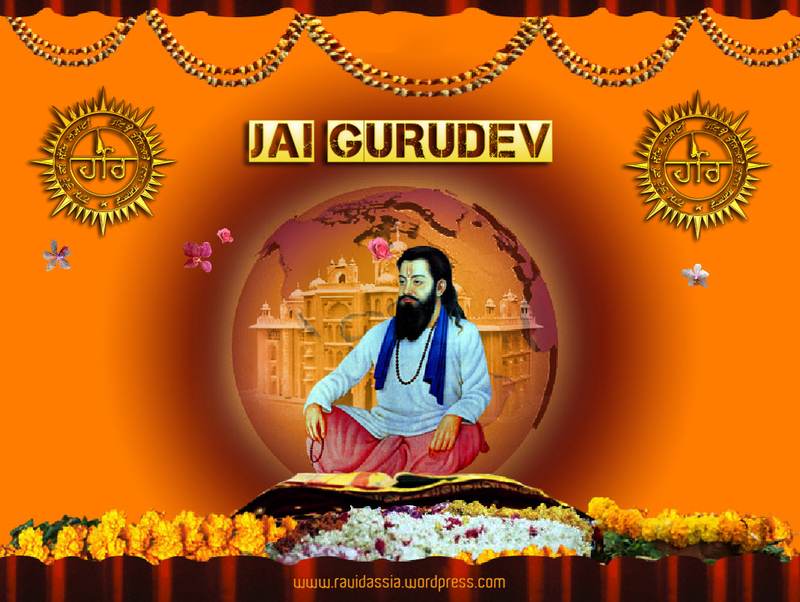 The Ravidassia Community | Jai Gurudev! 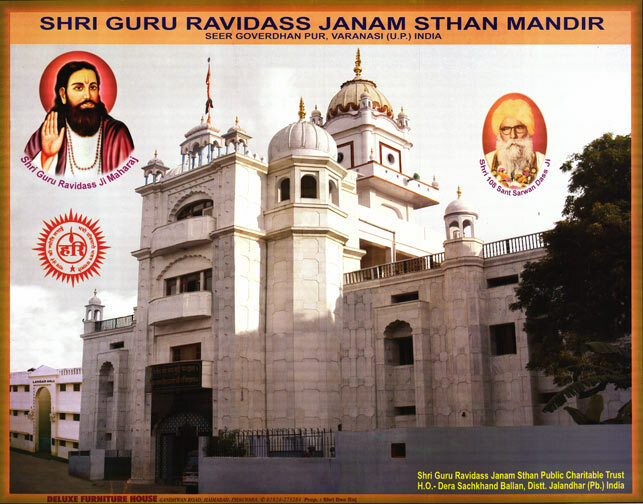 Shri Guru Ravidass Maharaj Ki Jai! Gali Gali Se Ayi Awaaz, Jai Ravidass, Jai Ravidass! The Ravidassia Community Jai Gurudev! 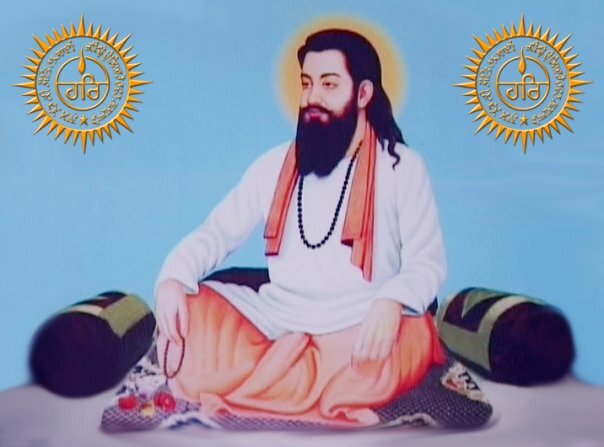 Shri Guru Ravidass Maharaj Ki Jai! Gali Gali Se Ayi Awaaz, Jai Ravidass, Jai Ravidass! Pilgrimage Shri Guru Ravidass Janam Asthan Mandir Seer Goverdhanpur Varanasi (U.P.) India. Objectives To propagate the Bani and teachings of Satguru Ravidass Ji. The teachings and thought of Maharishi Bhagwan Balmiki Ji, Satguru Namdev Ji, Satguru Kabir Ji, Satguru Trilochan Ji, Satguru Sain Ji and Satguru Sadna Ji would also be propagated. To respect all religions, love the mankind and lead virtuous life. Shri Guru Ravidass Ji attracted the lowest strata of Hindu society according to the caste system. A member of the Ravidassia sect is called a “Ravidassia”. 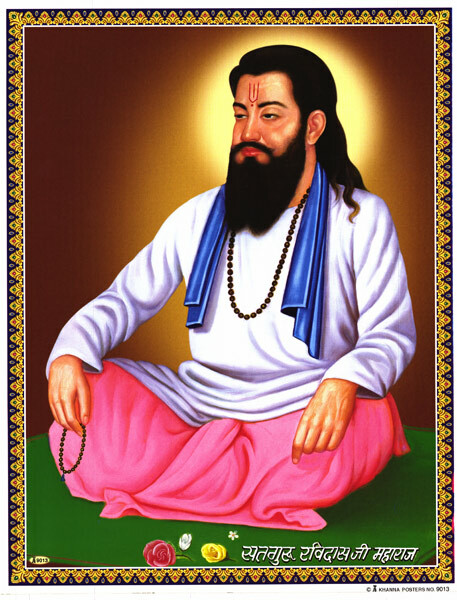 Shri Guru Ravidass Ji was also the guru of the Vaishnava Sant Mira Bai. Chamar is a Dalit sub-caste mainly found in the northern states, such as Punjab (India), Haryana, Himachal Pradesh, Uttar Pradesh and Bihar, the traditional occupation is leather-working and tanning. Chamar is a second largest caste in india and most highly influential group among schedule castes.Traditionally their social status was very poor due to the rigidity of the Indian caste system, however in modern days they are one of the most progressive castes in India. Chamars have a population of over 50 million. The most politically and socially influential Chamars are from the state of Punjab (India), where they form 11% of the population with Dalits comprising 27% of the population. In the Punjab they are divided into various groups, such as ”Ad-Dharm” and ”Ravidassia”. In Majha area they share the same Gotras as Saraswati and Mohyal Brahmins, in Doaba and Malwa area they share family names with Jats and Rajputs. Where as in Malwa most of the Chamars turned to Sikhism . In Majha they are being called Ravidasia, in Doaba they are being called Adi -Dharmi . They are highly concentrated in the Doaba of Punjab. In Malwa Region Chamars have a faith in Sikhisim. Chamar denotes profession but nowadays misunderstood with caste.The castes which were involved in leather work in past ( before independence )were termed as Chamar in general.Chamars in Rajasthan can only be identified in the districts adjoining to the states of Punjab, Haryana and Uttar Pradesh. The districts of Bikaner, Shriganganagar,Hanumangarh, Churu, Jhunjhunu, Alwar, Bharatpur and Dhaulpur are inhabited by Chamars..Now a days.Raigar (leather tanners ) and Mochi (Shoe-makers) are other two predominant castes related with leather profession. In U.P. chamars are being called Jatav, Kureels,Dohrey,Dhusia etc. Jatavs are mainly concentrated in the Western part of U.P and also in Delhi and Haryana.Famous freedom fighter Banke Chamarwas also from Village Kurarpur, Dist. Jaunpur ,Uttar Pradesh.This Brave Revolutionary laid down his life for the country and was hanged by britishers for his active role in freedom struggle of 1857. Shri Guru Ravidass Ji’s teachings represent an offshoot of the bhakti and Sant Mat movements of the fifteenth century, a religious renaissance in India. The oneness, omnipresence and omnipotence of God, who is called Hari. The human soul is a particle of the Divine; the different between the two is like the difference between gold and the ornament, water and the wave. To realize God, which is the ultimate end of human life, man should concentrate on Hari, giving up rituals. Birth in a low caste is no hindrance in the way to spiritual development. The only way to moksha is to free the mind from duality. Pilgrimage and bathing in holy lakes is in vain. 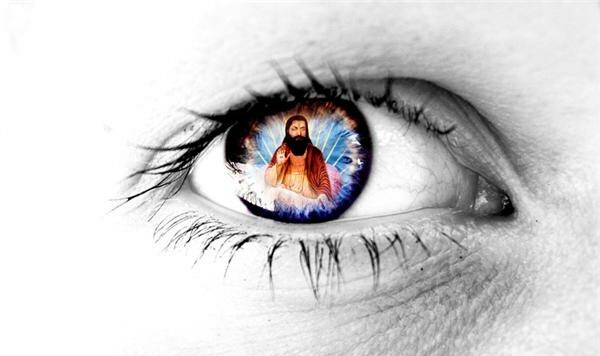 One who preaches the Shri Guru Ravidass Ji philosophy is a Ravidasi. 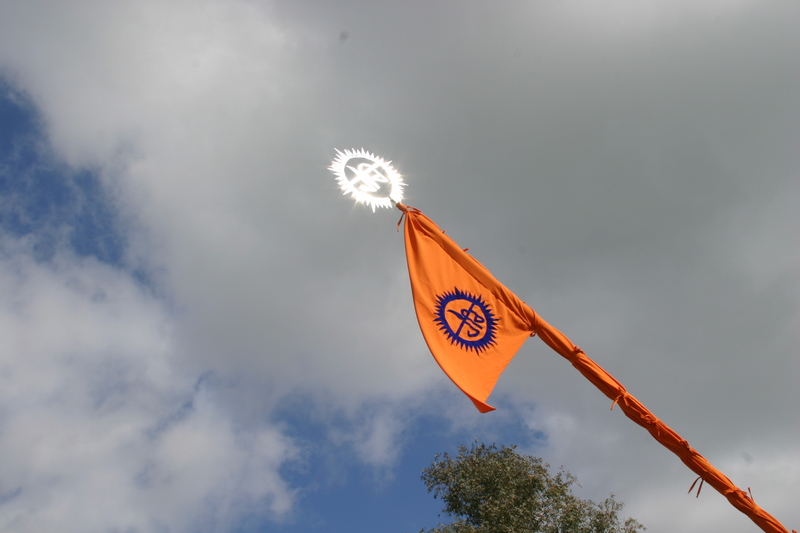 It is not a condition that one should have been born in the Ravidasi community to become or initiated as one. To celebrate Shri Guru Ravidass Jayanti according to the Punjabi calendar, Sunday, Sukhal Falgin Parvithta. Whenever any Ravidassia receives, meets, writes or addresses a fellow Ravidassia, he or she should say “Jai Gurudev”. The birthday of Shri Guru Ravidass Ji (Shri Guru Ravidass Jayanti)on February 16 is celebrated every year. It is the annual focal point for Ravidasis. On the day the Amritbani is read, the Nishan Sahib is changed ceremonially, and there is a special arti and aNagar Kirtan procession bearing his portrait are taken out to the accompaniment of music through the streets of the temple locality. It has become a cherished dream of followers of Guru Ravidass Ji from the world over to pay their obeisance at Shri Guru Ravidass Janam Asthan Mandir at Seer Goverdhanpur Varanasi at least once in their life. They now view this Mandir as their religious headquarters. Although Guru Ravidass Ji lived in the city of Varanasi for more than 151 years, there did not exist any place devoted to his memory untill the sixties of the twentieth century. The reasons were more of a social nature than the historical or religious ones. Varanasi is known to be the city of Lord Shiva. It was this city where two great saints of Bhakti Movement i.e. Satguru Kabir & Shri Guru Ravidass Ji were born. Shri Guru Ravidass Ji was born in the year 1377 AD i.e. Bikrami Samvat 1433 (widely accepted by most scholars & institutions) to father Shri Santokh Dass Ji and Mother Kalsa Devi Ji in a humble family. Guru Ravidass Ji exhibited spiritual traits from childhood itself. His father married him at any early age. He started doing his ancestral profession i.e. making leather shoes. 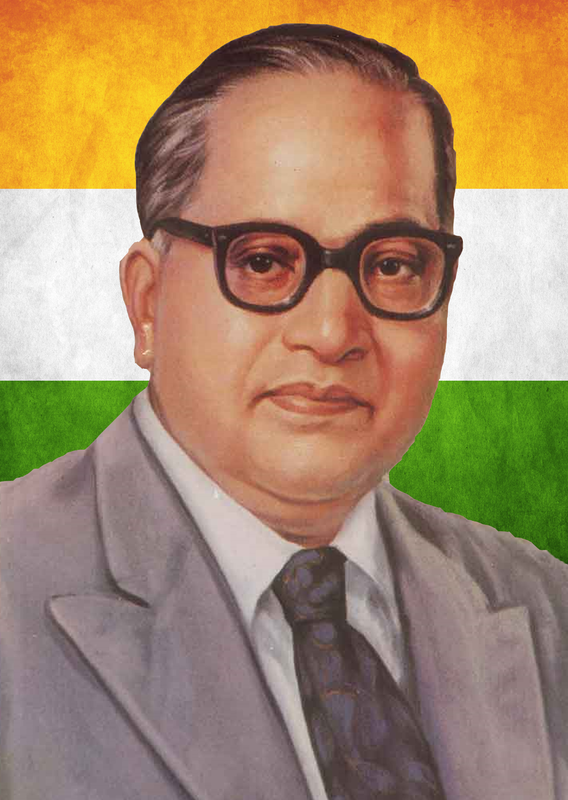 He started propagating these spiritual ideas among the people. His popularity increased day by day. Soon Kings and Queens of different princely states became his disciples. Raja Nagar Mal of Banaras (Varanasi), Rani Jhalanbai and Miranbai of Chittaur were some of the well-known disciples of Guru Ji. Guru Ravidass Ji devoted his attention to preaching equality and brotherhood of humankind. His efforts were coupled by his contemporary saint in Banaras (Varanasi) Satguru Kabir Ji. There is a detailed account of the kind of beautiful palaces in which Shri Guru Ravidass Ji used to live in the book “Anant Dass ki Parchayan” when Rani Jhalanbai came to meet Guru Ji. But after the life of Guru Ji no trace of any place accredited to the memory of Guru Ji was found in Varanasi where he is believed to have lived for about 151 years. This remains a mystery of history.The sacred task of perpetuating the memory of Guru Ji at Varanasi and giving a befitting memorial in his name was undertaken by the spiritual, visionary & revolutionary saint Shri 108 Sant Sarwan Dass Ji of Dera Sachkhand Ballan. He made strenuous efforts to make Bani (sacred writings) of Guru Ravidass Ji popular among the socially backward and downtrodden people. He thought his job to be incomplete until the place where Guru Ravidass Ji gave the sermon of Begumpura was traced out and a suitable monument built there. Swami Sarwan Dass Ji assigned this task to a selected group of people under the guidance of Sant Hari Dass Ji. 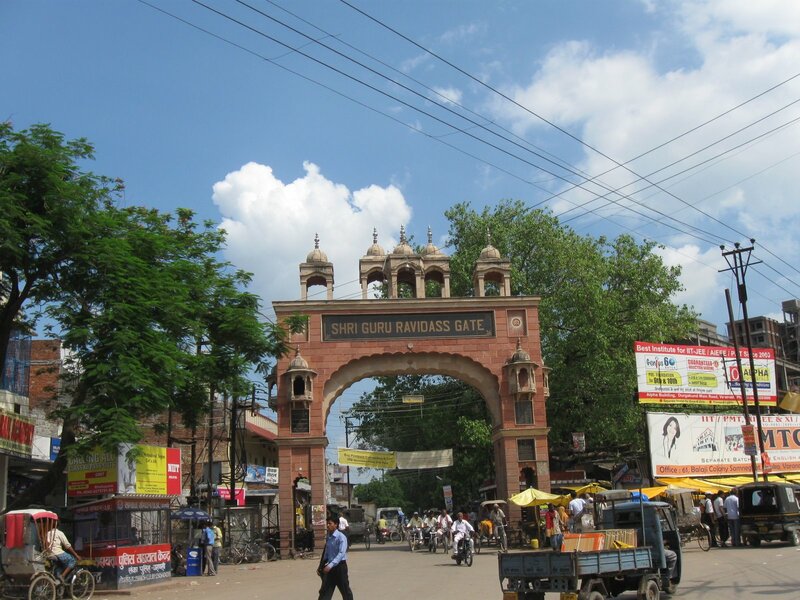 The group went to Varanasi and surveyed the area near the Banaras Hindu University. The imlee tree and other indicators confirmed a location in village Seer Goverdhanpur, in the outskirts of Varanasi near BHU (Banaras Hindu University), as the birthplace of Guru Ravidass Ji. The plot of land was purchased and no time was lost to start construction of an impressive temple. The foundation stone of this Mandir was laid on Monday the 14th June 1965 on Ashad Sankranti day by Sant Hari Dass Ji, along with a large number of devotees of Dera Bal, specially deputed by Sant Sarwan Dass Ji for the purpose. With the growing popularity of this Mandir and also keeping in view the increasing number of pilgrims, the U.P. Government also thought of raising suitable memorials for Guru Ravidass Ji in the city of Banaras. It has built a beautiful Shri Guru Ravidass park and stone sculpture of Guru Ravidass Ji at a prominent place at the river “Ganga”. A large Guru Ravidass Ghat has also been built at this place. The new bridge over Ganga near the Mandir has been named Shri Guru Ravidass Setu. All the followers of Guru Ravidass Ji throughout the world will remain indebted to Sant Sarwan Dass Ji and his successor Saints of Dera Sachkhand Ballan for giving them this place of pilgrimage. People visit this temple throughout the year, but they consider it a privilege if they can make this pilgrimage on the occasion of Birthday celebrations of Guru Ji. People in very large number from all states of India as well as from many foreign countries assemble on this occasion to pay their obeisance. A special train is run from Jalandhar to Varanasi on the occasion. The Janam Asthan Mandir of Guru Ji at Seer Goverdhanpur, Varanasi has now acquired the status of Begumpura (serenity) for Guru Ji’s followers and has become an Ultimate Place of Pilgrimage for them. Shri 108 Sant Sarwan Dass Charitable Trust (Regd.) U.K. expressed the desire of having a monumental Gate in the memory of Guru Ravidass Ji in Varanasi City at some prominent road leading to the Mandir so as to perpetuate the memory of Guru Ji. This project was again undertaken by Mandir Trust under the chairmanship of Sant Niranjan Dass Ji.The foundation stone of the gate was laid on 25-05-1997 by Sahib Shri Kanshi Ram Ji BSP Supremo in the presence of prominent residents of Varanasi, distinguished persons and senior bureaucrats. Ms. Mayawati was Hon’ble Chief Minister of Uttar Pradesh at that time. The workers worked day and night. Specially skilled stone layers were engaged from Rajasthan for this project. A huge Gate at Lanka Crossing was built in a very short period. It is a matter of great pride for our community that the gate was inaugurated by the then His Excellency, the President of India, Shri K.R. Narayanan on 16-7-1998. Shri Suraj Bhan Hon’ble Governor and Shri Kalyan Singh Hon’ble Chief Minister of Uttar Pradesh and Babu Kanshi Ram were also present. At the time of inauguration of the gate, the President looked happy. Disregarding the security barriers, he came out to the barricades and shook hands with aam aadmi and saints. It was so rare and happy moment. The visitors raised and waved their hand in his honour, applause and gratitude. Large number of Guru Ji’s devotees and saints from Punjab and other states were present on the occasion along with Sant Niranjan dass Ji and Sant Rama Nand Ji. The writer was also fortunate to attend the inauguration ceremony of the gate. After the inauguration of the gate, His Excellency the President visited Shri Guru Ravidass Janam Asthan Mandir, Seer Govardhanpur, Varanasi. At the instance of Chief Guest, Qaumi Shahid Sant Rama Nand Ji narrated the entire story of research of this site and construction of the temple and the problems faced in this regard. The President took tea and snacks with the Hazoor Maharaj Niranjan Dass Ji, Qaumi Shahid Sant Rama Nand Ji, members of Shri Guru Ravidass Janam Asthan Public Charitable Trust and other VIPs. It is an unforgettable day in the history of Guru Ravidass Mission. The names of the trustees of Sant Sarwan Dass Charitable Trust (UK), who contributed for the construction of the gate, have been carved at the gate thereby immortalising their gesture of perpetuating the memory of Satguru Ravidass Ji in the city of his assertion. Donate to Improve this Website! Running a website can be expensive and time-consuming. Please contribute to this website to improve the quality and allow for it to expand and grow. A powerful online presence will spread our message. Click the button above to donate. Leave a comment in the guestbook page and let the world know that you are proud to be part of the Ravidassia community!